A program covering the CORE knowledge areas of HVACR and preparing a student to take the North American Technician Excellence (NATE) Core Certification Exam. The NATE Core Certification provides the basics for entry-level and early career technicians and is a stepping stone to becoming a HVACR Certified Technician. The Core exam covers the foundational areas of safety, tools, basic construction, using basic science, achieving desired conditions, taking temperature and humidity measurements, and basic electrical. 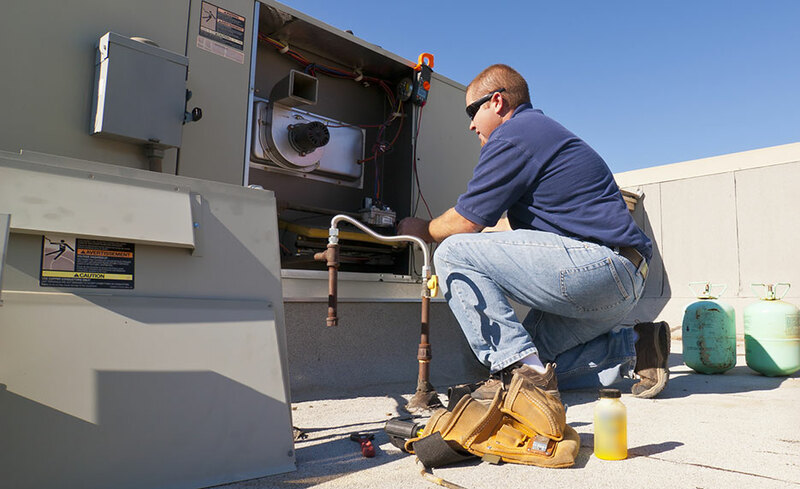 The HVAC Service Core program is a comprehensive online HVACR education program encompassing heating, ventilation, air conditioning, and refrigeration. It is specifically structured to prepare technicians to successfully pass the initial NATE Core Service Exam and to enrich the skills of installers and technicians who are just beginning in the industry. Accurate measurement skills and conversion of measurements. Although there are no educational prerequisites, students need to be able to navigate to their email, reply to emails, and navigate the internet easily. Chris Compton, CMHE, is a 20 year HVACR instructor at North Idaho College, saw a unique opportunity in online education (high quality education anywhere and anytime via the Internet) to help new students and anyone already working in the Heating, Ventilation, Air Conditioning, Refrigeration and or Building Performance. From that idea, HVACRedu.net grew. Chris has become the specialist in online curriculum development for the trades, the psychology behind online learning, creating web pages, use of video and simulation instruction, and learning through the web. Chris is the CEO, Project Director, and Content Development Manager (as well as chief cook and bottle washer) of HVACRedu.net. Chris brings 37 years of experience in the HVACR field as a student, technician, contractor, and instructor. He has been certified at the Installation and Service level in all five of the NATE certifications. In 1998 he was selected as one of the top 10 outstanding Trades and Industry Educators in the U.S. by ACTE (Association of Career and Technical Education), formerly AVA (American Vocational Association). He received the Imperial Award from RSES for Commercial Refrigeration in 1997, and is a CMS member of RSES. Chris has achieved the CMHE (Certified Master HVACR Educator) status from HVAC Excellence. In 2014 he was selected as the Teacher of the Year by the ACHR News. Chris serves as an educational consultant and advisor to HVACR and Building Performance online learning efforts around the Globe. Chris loves the outdoors – especially when he’s fly fishing, driving his “brand new” 1948 Stinson 108-3, playing horseshoes, working the Blue C Ranch, singing bluegrass or trolling for silvers in the Straits of Juan de Fuca. All of our programs are self-paced and open enrollment, so you can start them when you want and finish them at your own pace. When you register, you’ll receive six (6) months to complete the program. We do not require an end date, only that they complete each course within the 60-days given or purchase an extension if the 60 days is not enough time. Yes. The NATE Core Service Exam. This is the first of a two-step process to obtain NATE Certification. The second step would be to select a specialty and test in the specialty area upon completion of the CORE Exam.